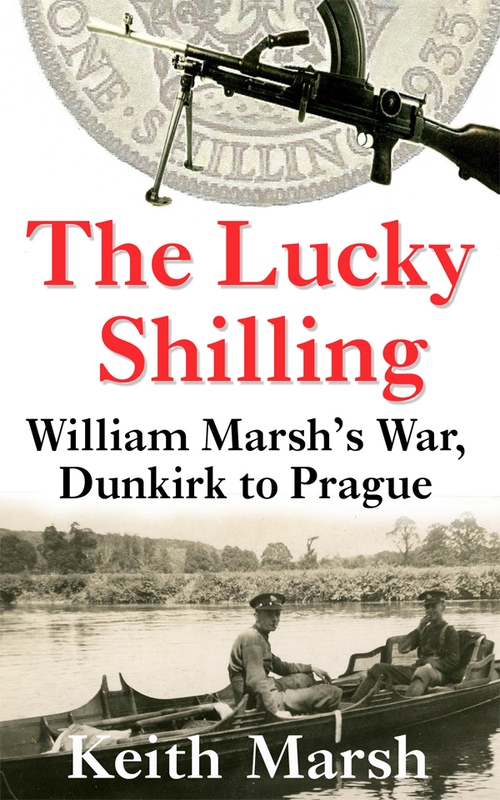 My father William Marsh was a World War Two soldier whose personal heroic story of survival and escape from prisoner of war camps during the conflict – and of his wartime journey from Dunkirk to Prague – is told in my book The Lucky Shilling. 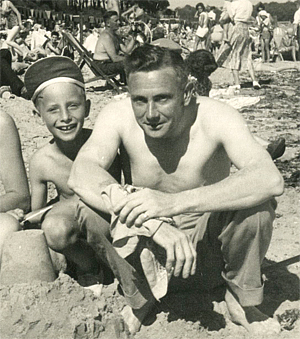 I am his son, Keith Marsh – and I’ve published the story based on recently discovered memoirs of a beloved father who never spoke of his experiences. A soldier’s true story published as a novel and based on his memoirs written some 40 years ago, The Lucky Shilling is available as an e-book on Amazon Kindle and now as a PRINT book on Amazon. Buy E-Book now on AMAZON! This website reveals chapter excerpts, true facts, documents, family photos, links and background information about William Marsh’s war, his incarceration and liberation. William was born in Tilehurst, Reading in 1916, and joined the Royal Berkshire Regiment in 1937. He spent his latter years in Lyme Regis, Dorset and died in 1986. He was only 19 and a young man when he left home with little idea of how deadly the battles he fought would be and what a historic a role he’d play, along with so many others in the immense struggles that affected the world between 1939 and 1945. 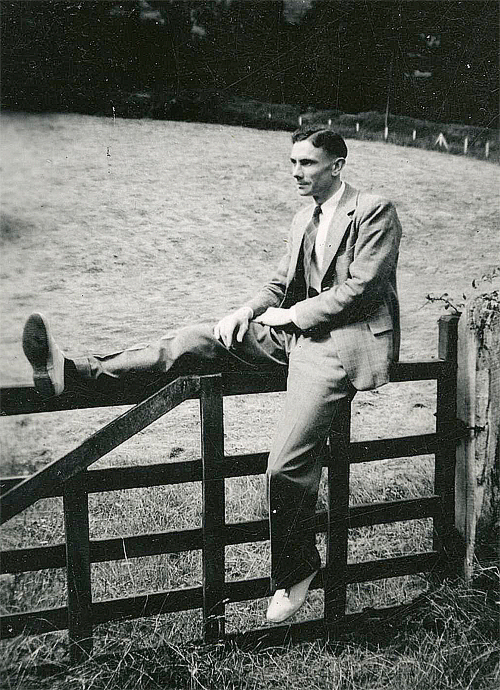 (Image) William Marsh sitting on a countryside gate in England on his return from the War. Keith Marsh: (author) For a long time I have been fascinated in the ordinary man’s attitude to war and combat. In 2009 I rediscovered the wartime account that my father had written some 40 years earlier about his combat experiences during the Second World War. He had never spoken of them before, or since. The more I read these journals, the more intrigued I became. It was as if I was discovering a completely different man from the father I had grown up with. Why had he joined the Army in 1937? And where was the mild-mannered, gentle-natured man I loved in this story of bloody hand-to-hand fighting, breathtaking bravery and desperate survival? Almost without thinking, as my notes and experiences grew, I started the book. Image (right) William Marsh as an older man – and a granddad! “Although I was starting to pick up more words of German and used them to speak to the guards whenever I could, it didn’t help me this time as they were huddled together and talking in low voices so I couldn’t hear what they were saying. After a moment or so one of the guards left the huddle and came over to stand in front of us. His command of English wasn’t brilliant but we soon got the gist of what he was trying to tell us.